Enjoy free jazz this Father's Day at the Wynnum Manly Jazz Festival alongside the beautiful Wynnum Manly foreshore. 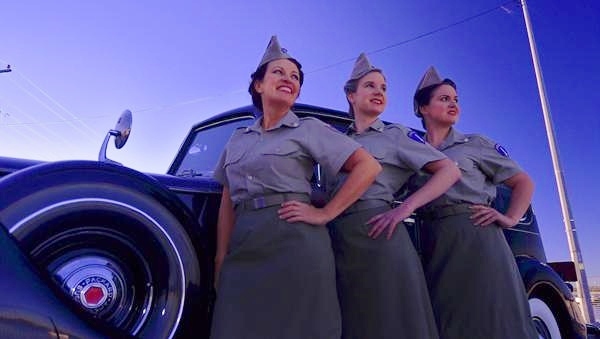 Sunday September 1 will see sassy tribute band The Andrew Sisters perform in their khaki-clad glory with their fabulous 3-part harmony toe-tapping tunes based on the original World War II sounds of the Andrews Sisters. 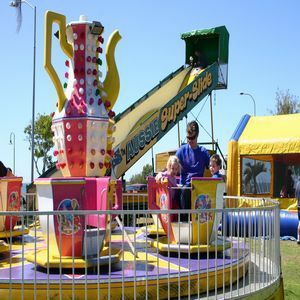 So grab the picnic blanket and get Dad on the "Chattanooga Choo Choo" to "Boogie Woogie" alongside the beautiful Moreton Bay and enjoy a day of wonderful free entertainment. Craig Martin and his Swing Band will be performing more contemporary swing alongside the traditional jazz of the Royal Australian Band and the Clem 7 Band with the Pops Walk Around Band entertaining in between. There's fun for all the family with activities for children and plenty of food and drink stalls. The Jazz Festival is at Bandstand Park situated alongside the Wynnum foreshore between Wynnum and just below Gordon Parade. There is a great play area with a miniature lighthouse for the children to climb providing ample views of Moreton Bay and Islands.